This Vega One Giveaway is closed (see below for winners)! 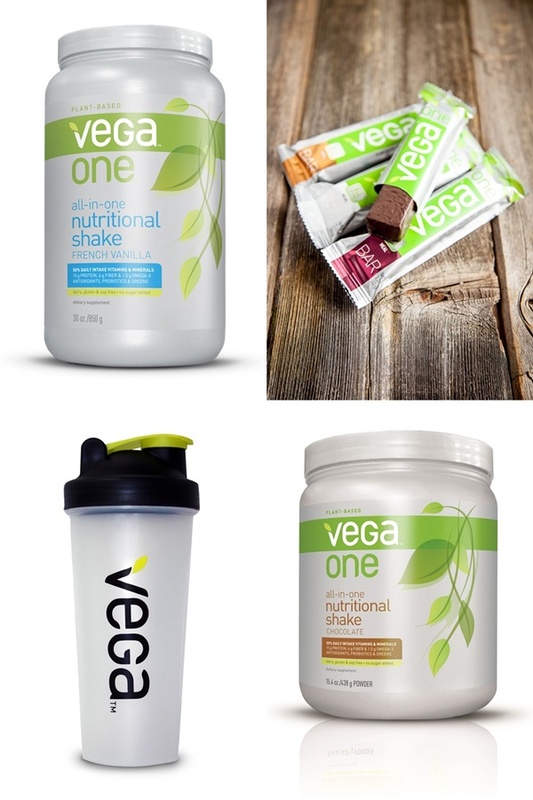 But you can still get the Go Dairy Free team’s unbiased opinions on these products here: Vega One Meal Bars Review + Vega One Nutritional Shake Review. Still looking for the perfect dairy-free meal replacement shake or vegan nutritional bar that will truly nourish and provide sustainable sustenance? Or perhaps you’ve already discovered how much you love the ingredients and taste of Vega One. Either way, this Vega One Giveaway is a must enter! Enter the Vega One Giveaway NOW! Want more changes to win Vega Products? Vega is hosting a big contest on Pinterest, now through September 30th! Contest entrants are encouraged to pin their favorite smoothie recipes. Head to the Vega Pinterest Page for details. My co-worker was just raving about VEGA! I would love to win! Would be very helpful for my college-student self! I would like to trial “Vanilla Chai”. 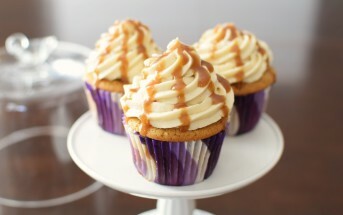 What a great twist on the traditional vanilla! The shake would be something I could see adding into my daily meals. I live in Florida and I’m always looking for good meal bars to take with me for a day on the water, so I’d love to sample all of them. I would love to try any of the products. I have been looking for a good dairy free shake. I just had the vanilla for breakfast today Erin – very nice flavor! I would like to try the berry flavor shake. I love the vanilla chai! I need to build some muscle. This is the perfect kickstart! 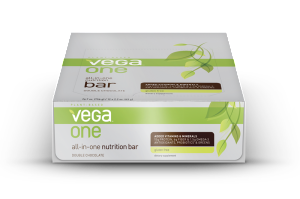 My favourite Vega product is the Chocolate Cherry Almond Vega One Meal Bar. 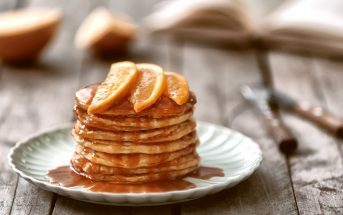 I will often have this with some fruit after my workout in the morning. 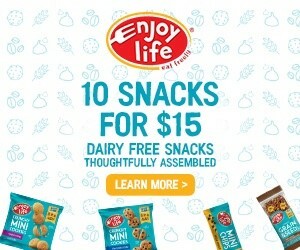 Would love to try them all, but always am looking for bars I can take on the go and dairy free! 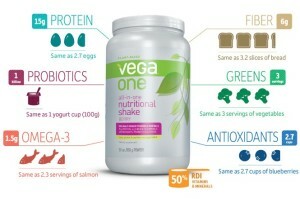 Ive always wanted to try Vega One protein!!!! What great giveaway! I have heard so many good things about Vega products. 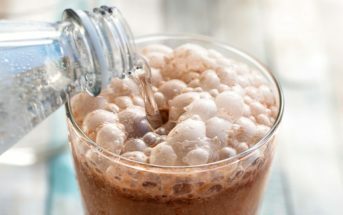 I would love to try the Bodacious Berry Protein Smoothie or the Chocolate Peanut Butter Cup Snack Bar (can’t go wrong with anything chocolate and peanut butter). But it all looks so yummy!! Love the chocolate, haven’t tried others yet would love to though!!! 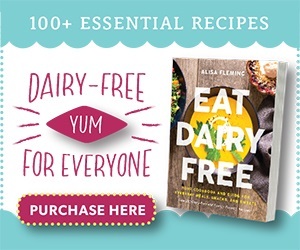 For my dairy free friends, a giveaway to enter. I would love to win please enter me! I’ve heard so many good things about Vega and have been super curious to try their products! 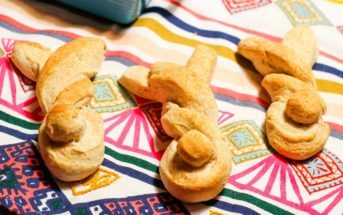 it’s just hard to switch from my regular protein powder to something new, this would be the perfect opportunity!